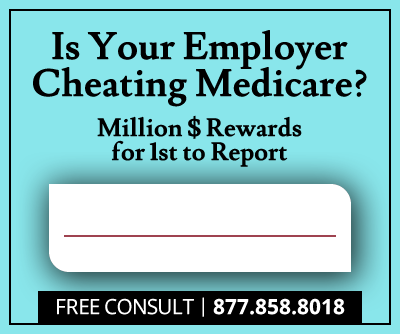 OtisMed Corp. and its former chief executive officer, Charlie Chi, have agreed to pay more than $80 million to resolve criminal and civil liability for knowingly submitting fraudulent claims to Medicare regarding the sale of a medical device. This was in violation of both the False Claims Act and the Federal Food, Drug, and Cosmetic Act. The whistleblower case against OtisMed was brought by Richard Adrian, a former sales executive with Stryker Corp., the Michigan-based parent company of OtisMed. Adrian, who worked at Stryker for 15 years, got $7 million for his efforts. Since 2009, the U.S. Department of Justice has recovered $23 billion under the False Claims Act, with $15 billion of that being from fraud perpetrated against federal health care programs. OtisMed admitted its intent to “defraud and mislead” surgeons by selling them the “OtisKnee” – cutting guides intended to be used in knee replacement surgery – before seeking the approval of the FDA and even after the agency rejected the company’s application. OtisMed failed to demonstrate to the FDA’s satisfaction that the OtisKnee was safe and effective -- the criteria the agency uses to evaluate whether prescription drugs and medical devices should be allowed to be sold in the marketplace. OtisMed sold more than 18,000 OtisKnees, generating a little over $27 million in revenue, making the $80 million recovery close to three times the revenue OtisMed pulled in. 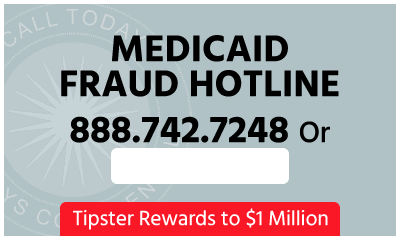 As part of the plea deal, OtisMed is barred from participating in all federal health care programs for 20 years. Except as admitted in the plea agreement, the claims settled in the civil settlement are allegations only. About 729,000 total knee replacements are performed every year. The procedure requires the orthopedic surgeon to remove the ends of the leg bones and then reshape the bone remaining to make room for implanting the artificial knee. OtisKnee was marketed as a tool to help surgeons make accurate bone cuts customized to a patient’s anatomy based on magnetic resonance imaging (MRI). The company told surgeons that the OtisKnee would simplify surgery and bring in extra revenue from the additional MRI scans, according to a story in the New York Times. Carla Muss-Jacobs gave little thought to the tools her surgeon was going to use to replace her knee, the Times article reported, noting that her surgeon used the OtisKnee on her knee just like “carpentry jigs.” But Muss-Jacobs suffered “terrible pain” after the procedure and had to undergo a complex knee replacement redo by a new surgeon. She said she felt like a “guinea pig.” But it is not clear whether the OtisKnee played a role in Muss-Jacobs’s post-operative misery or possibly in other cases involving the OtisKnee.